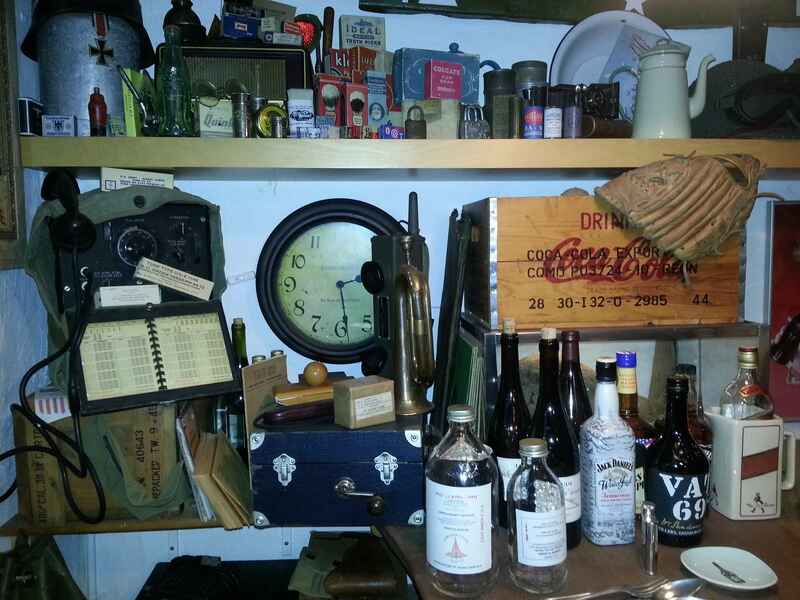 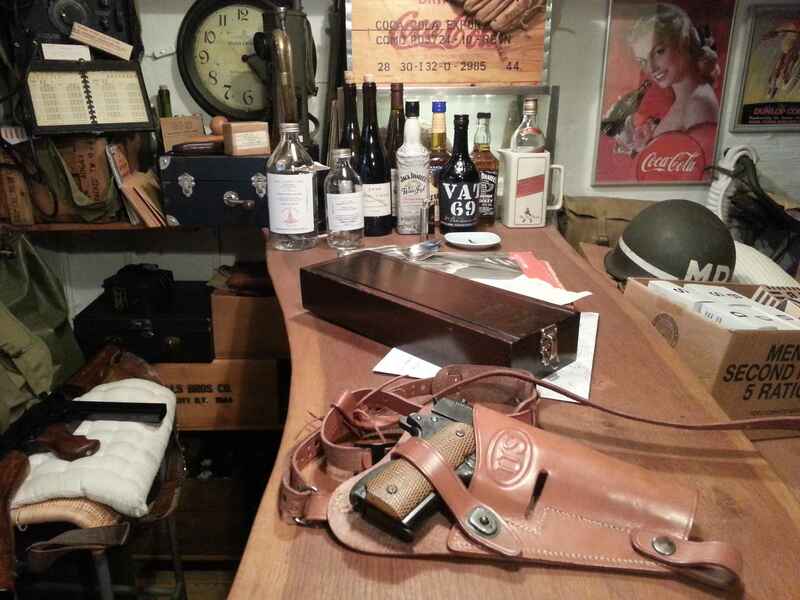 Visit "Joe's Bar" - a collectors Paradise.. 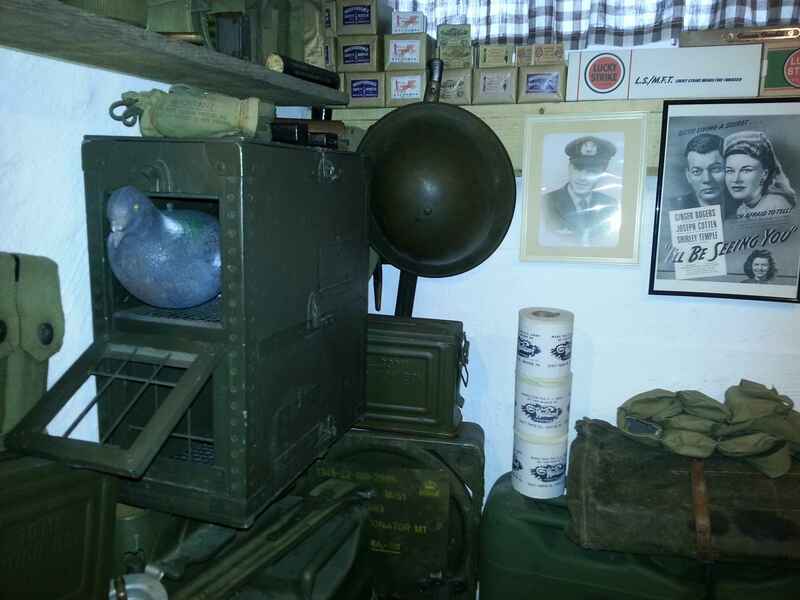 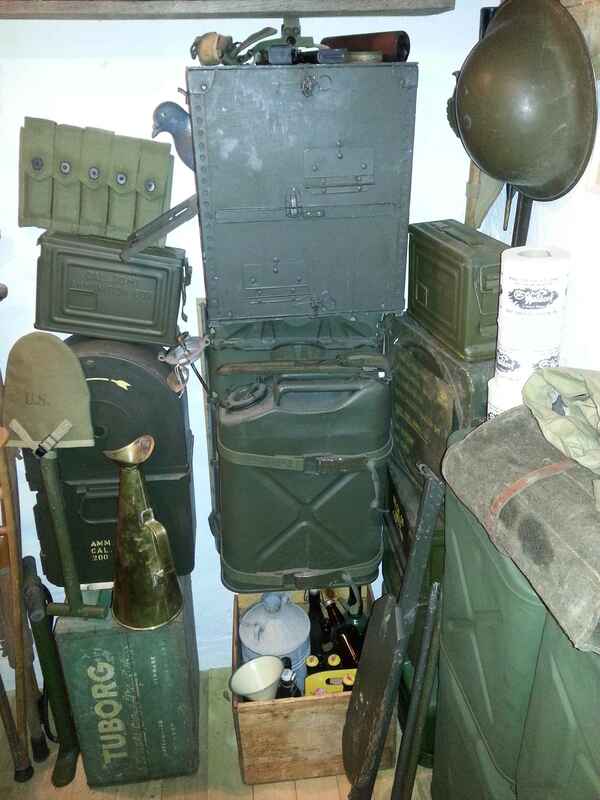 Collecting and maintaining old military vehicles often brings along other collections. 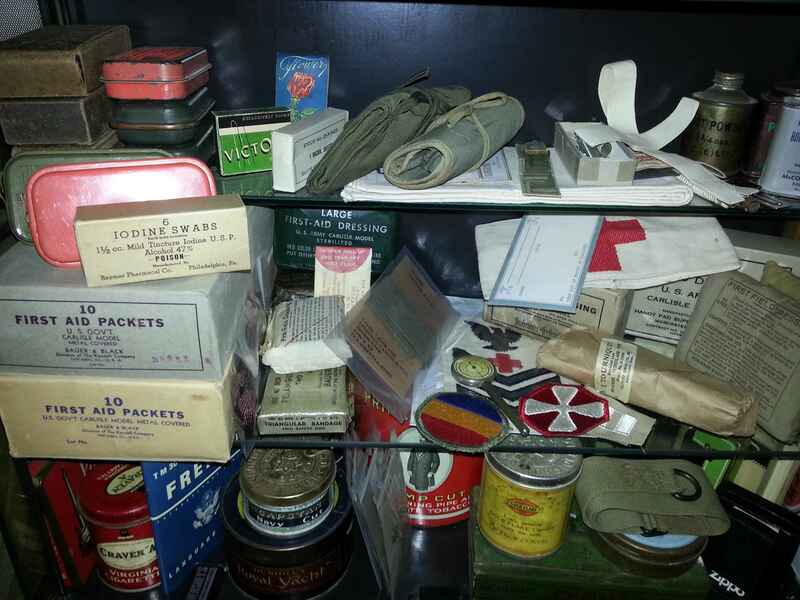 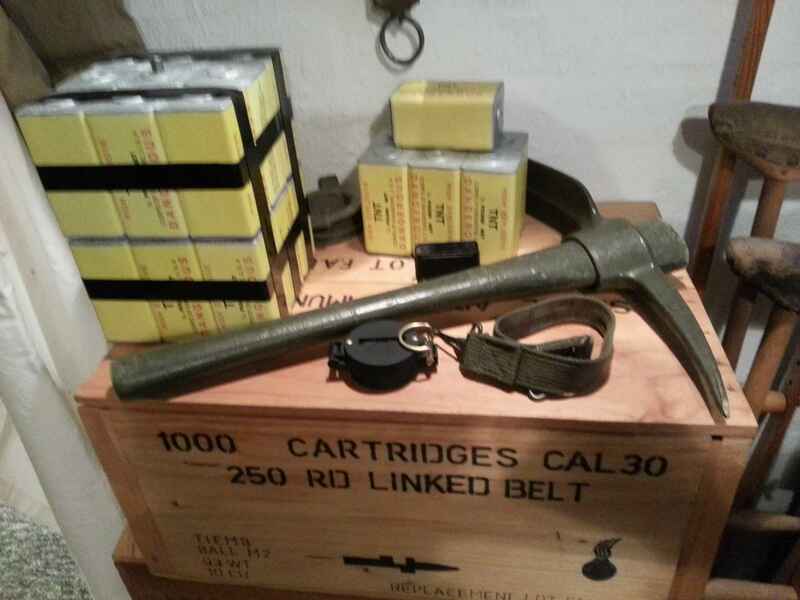 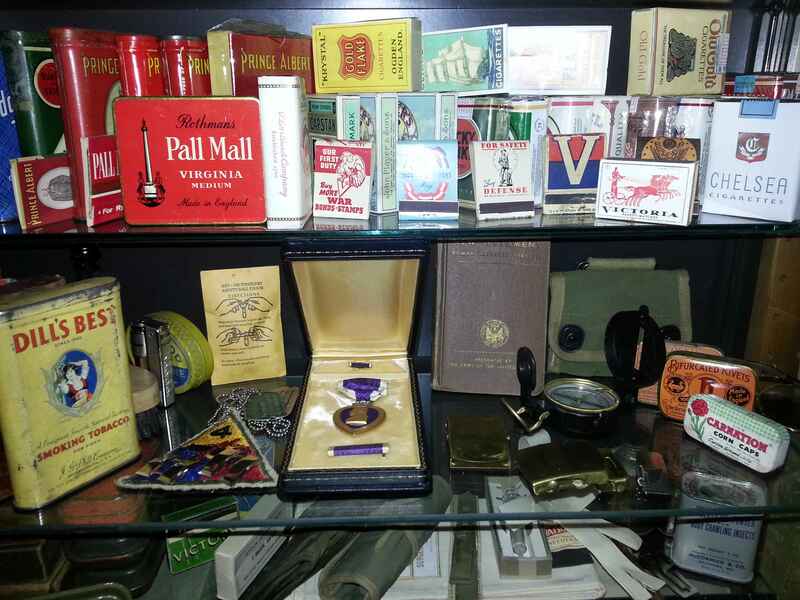 Quite often a great interest in artifacts from the time comes along, including typical objects from around World War II such as uniforms, personal equipment and weapons, but just as often it is also normal civil items, such as packs of food, cigarette packaging, vintage turntables with original records e.t.c. 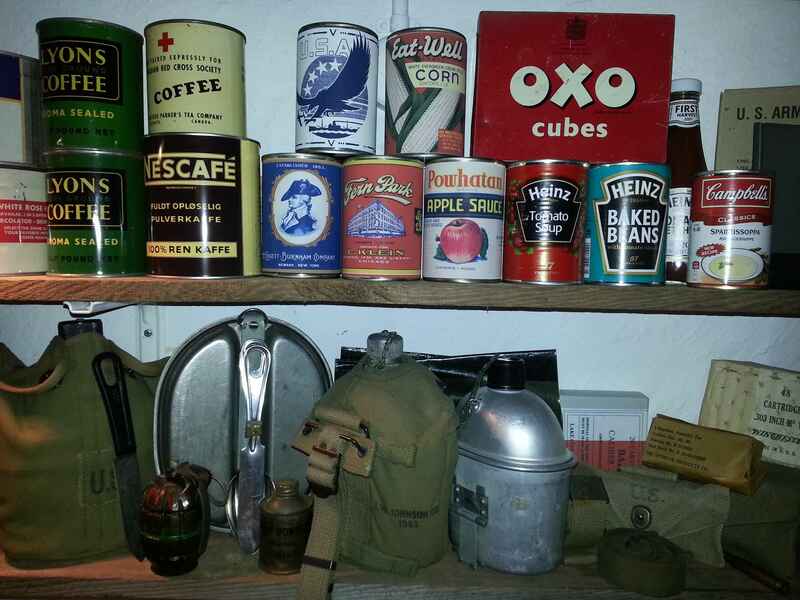 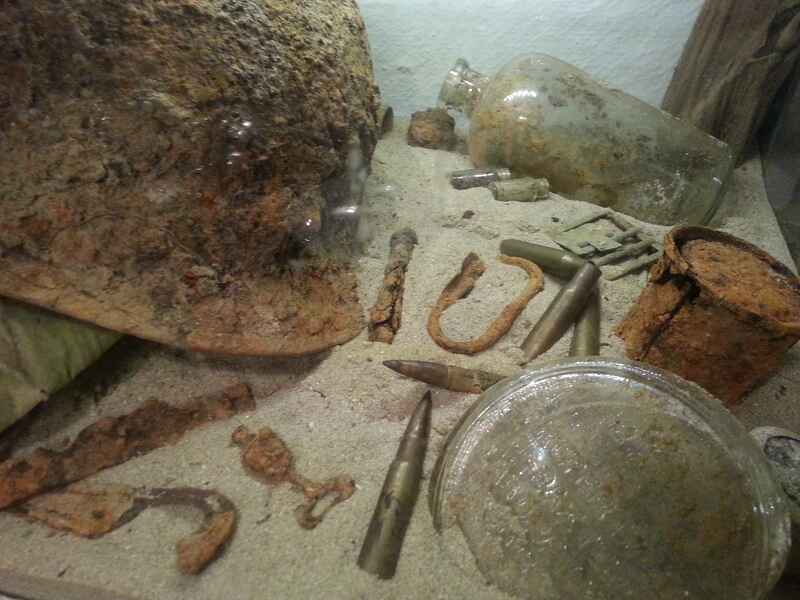 Many of these objects are often included in historical displays together with the vehicles and thereby giving people an exciting total experience. 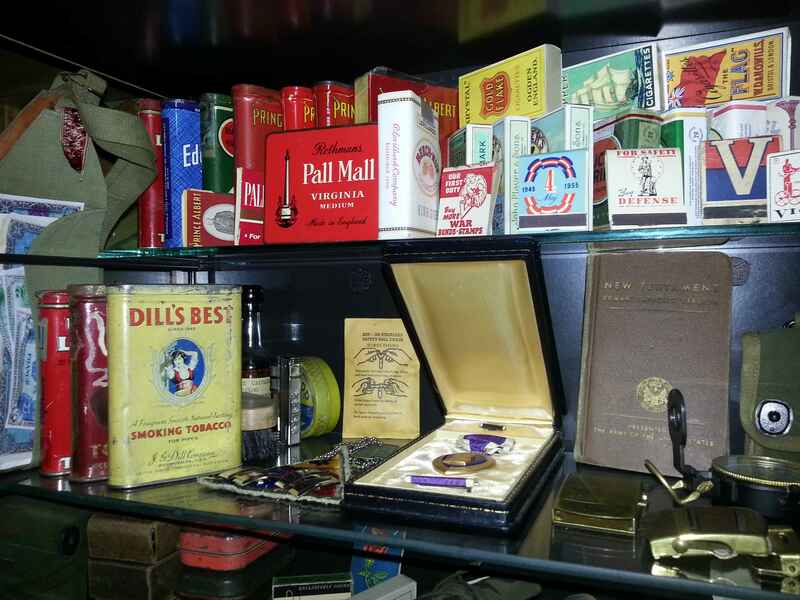 Other collectors arrange time displays, typically at home where you can take a little "time travel" while watching the many collectibles. 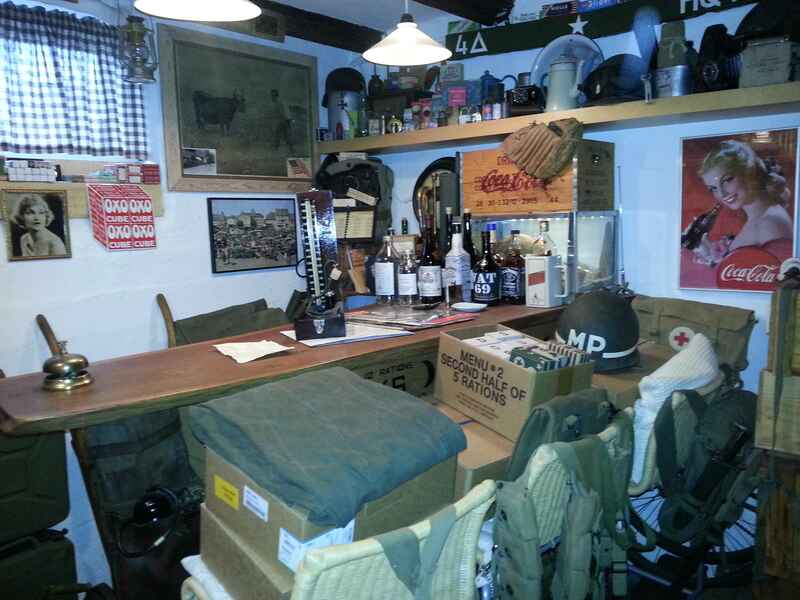 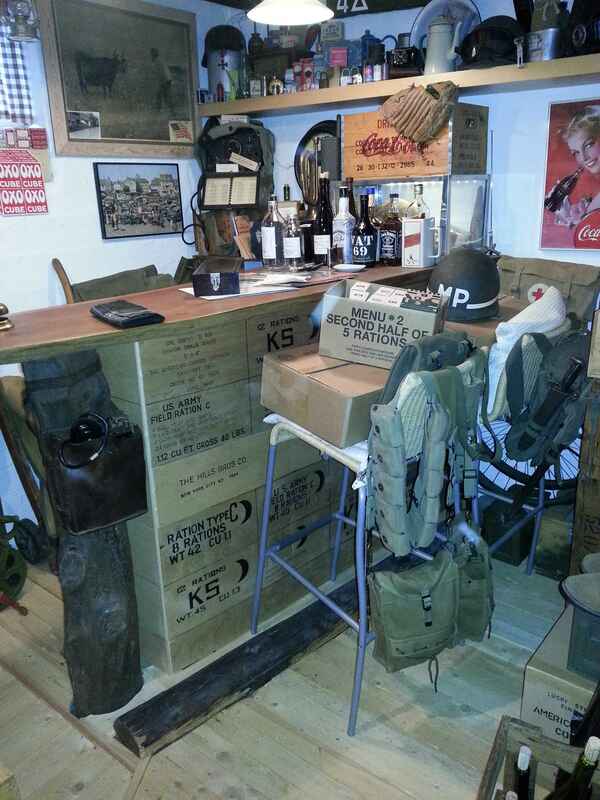 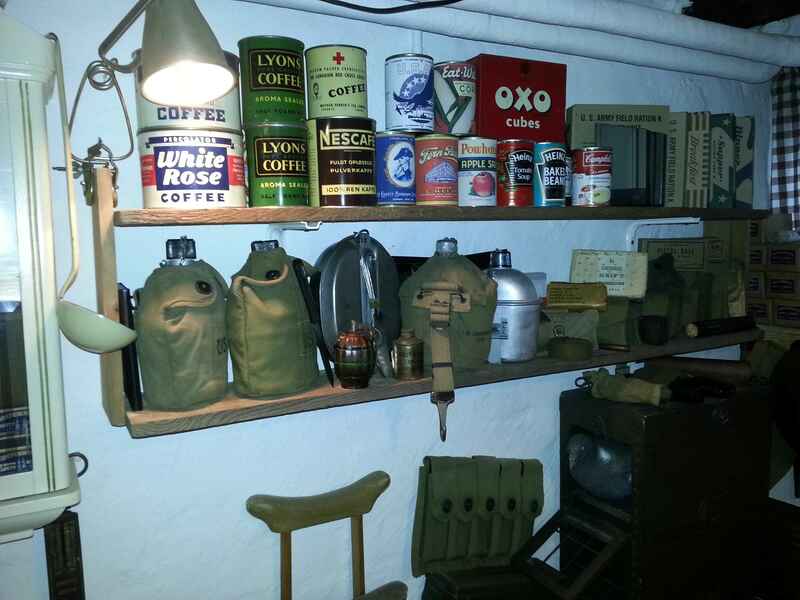 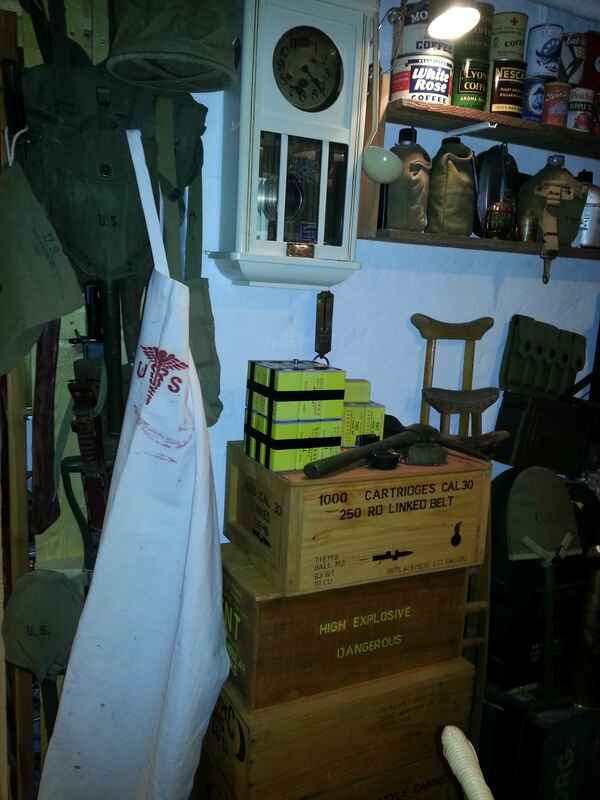 In the photos below you can see one of our members decorated display, which has been named "Joe's Bar" although it looks more like a military depot administered by none other than "Crap Game" known from the famous movie: Kelly's Heroes with Clint Eastwood, Telly Savalas and Donald Sutherland in the lead roles. 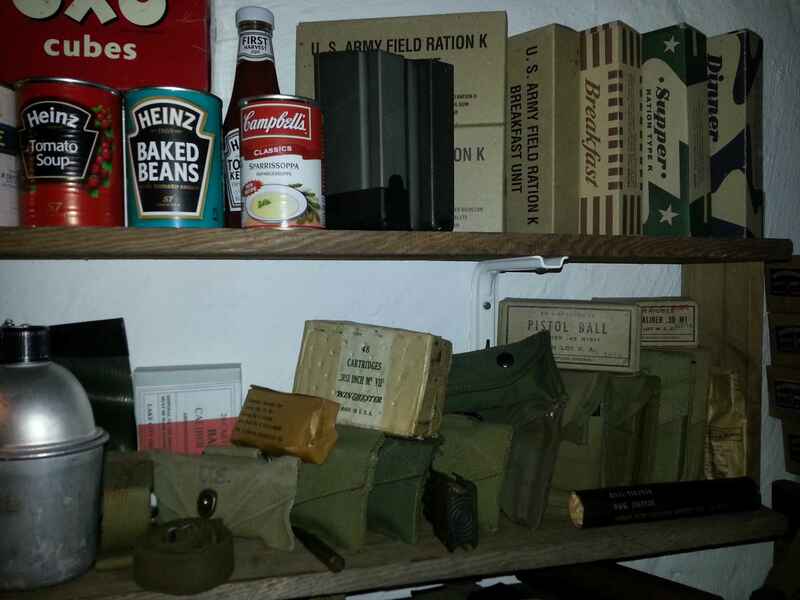 "Crap Game" could provide anything from whiskey, grenades and silk stockings. 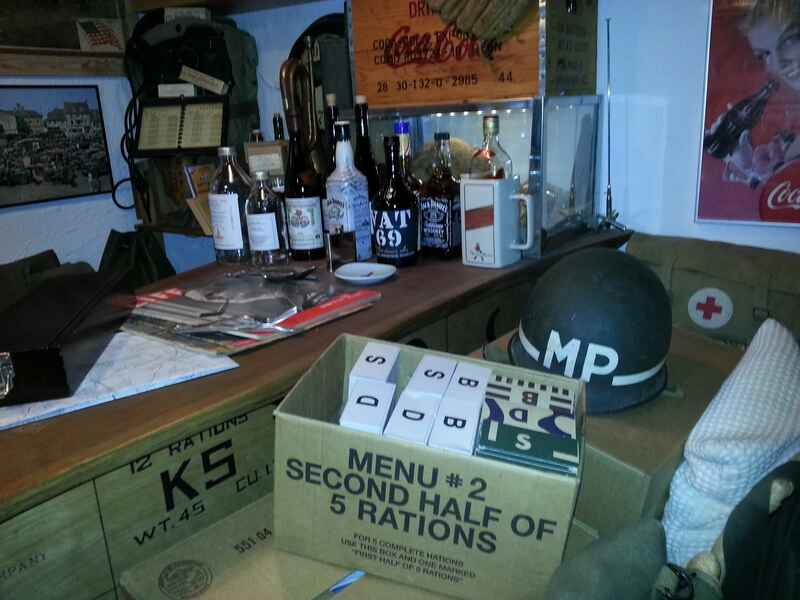 Enjoy the pictures and I am quite sure that you will recognize some of the many effects.